Brazil is a vast and beautiful country that features incredible nature, a vibrant mix of cultures, and a captivating history. A flight from London to Rio de Janeiro is about 11 to 12 hours depending on the flight route. Brazil covers two time zones, so the eastern part of the country is 3 hours behind GMT and the western region is 4 hours behind. However, during daylight saving time there is a difference of 4 hours and five hours respectively. The currency used in Brazil is the Real. Those who want to experience a microcosm of Brazilian culture and lifestyle should visit Rio de Janeiro. This sprawling city features interesting colonial architecture, incredible beaches such as Ipanema and Copacabana, and the iconic Christ the Redeemer statue. Brazilian culture thrives here with the annual Rio Carnival, lively samba bars, art galleries, and museums. Foodies will not want to miss a trip to Sao Paulo. The incredible diversity of the population here means there are literally thousands of restaurants, street food stalls, and markets serving up local and international cuisine. Visitors can try churrasco, or Brazilian barbecue, feijoada, a rich meat and black bean stew and the national dish of Brazil, or Italian, Japanese, Indian, and Middle Eastern dishes. For nature lovers on Brazil holidays, the Amazonia state is where visitors can head off on jungle treks into the Amazon. Here you can see unique flora and fauna, flooded forest reserves, vast rivers, and isolated tribes. Iguacu Falls is another incredible natural sight that should not be missed. The best way to see the massive waterfalls is in a zodiac boat tour on the river. Brazil is a huge country, and so it should come as no surprise that the weather varies from place to place. The northern regions can be very hot and humid, while the south can get very cold in the winter with frequent snowfall. 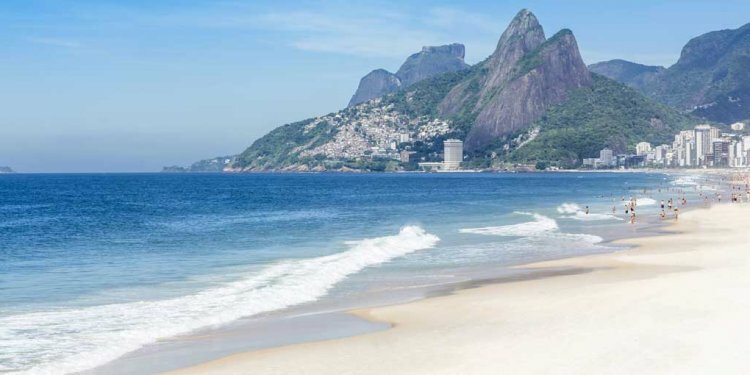 In Rio de Janeiro, the average temperature ranges between 22 to 26 degrees Celsius. FlySearch makes it easy to find amazing Brazil holidays with our easy to use search facility. Here you can search for hotels, transportation, and flights quickly and easily. Let us help you book your ideal holiday in Brazil.